Ok, I solved my problem, its working but its working on jlr manager from autosos.cn. I thought this JLR Pathfinder vci would work on original jlr manager (delivered by Bosch ) and on original software like for example ford vcmII. I took screenshot of my problem, the pathfinder can’t recognize VCI, I done everything from instruction delivered with this vci and it not work. driver was installed correctly. I can’t choose from pathfinder menu my vci. The driver is called Realtek USB FE Family Controller and jlr manager downloaded from autosos.com.cn recognize vci by USB, wifi and ethernet cable. 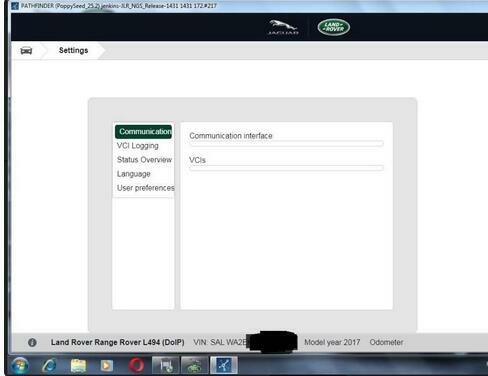 Problem is solved, I plugged in vci and installed again jlr manager. I guess that PDU driver wasn’t installed. I checked it on car and everything is working great. Thank you again very much for help and for your time.